Lois R. Porter, 77, departed this life Tuesday, January 22, at her home in Hartford, KY, after a brief battle with pancreatic cancer. She was born February 9, 1941, to the late Lindley and Mary Bennett. Lois was preceded in death by her beloved husband of 52 years, Jim Porter.Her favorite scripture was Philippians 4:13, “I can do all things through Christ who strengthens me.” Lois was a fifteen-year colon cancer survivor who embraced life everyday by using that strength and was a shining example of faith to all who knew her. Her motto was “Choose Joy” and she did just that, even when faced with the terminal diagnosis of a new type of cancer. Lois was a regular volunteer at the Family Wellness Center. 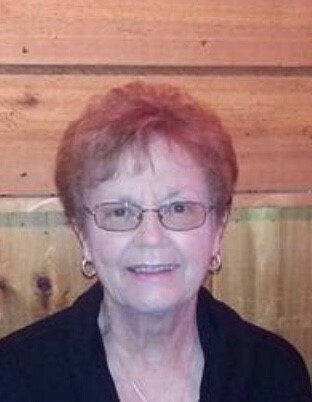 She also donated many hours to the Ohio County Food Pantry and Hope for Life.She was a dedicated member of Beaver Dam Baptist Church where she served as a volunteer in many different capacities. Lois retired from Commonwealth Community Bank in 2003 after 27 ½ years of services. She was the much-loved mother of three children: Tammy Minor (Joey), Dan Porter, (Tammy) and Marsha Fitzpatrick (Tim). The cherished GranMommy of five grandchildren: Kasey Hutto, Ike Minor, Ali Minor, Kyle Houser, and Jake Houser, and two precious granddogs: Penzie and Nalla. Lois was also the dear sister of Ronnie Bennett, Anelda Puckett, Wanda Sue McClain, Joe Bennett, Regina Abney, and the late Lindley Bennett Jr. In addition she is fondly remembered by many nieces and nephews and several dear friends. A Celebration of Life will be 11:00 A.M. Saturday January 26, 2019 at Beaver Dam Baptist Church with Bro. John Cashion officiating. Friends may visit with the Family from 9 A.M. to 11:00 A.M. at the church. In lieu of flowers, the family requests expressions of sympathy be made to Hospice of Ohio County.